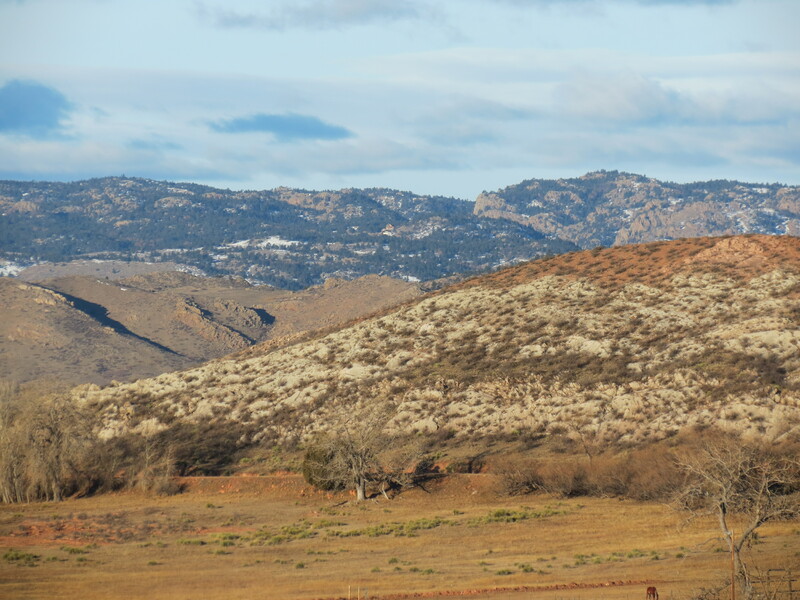 Some of you reading this might not have had the experience of living in the ranch country of the American West and might not believe all of the stories I write about, such as seeing buffaloes and pronghorns or killing rattlesnakes. I want to assure you that all the blogs I have written so far are all true. Today’s story is no exception. Today is June 30, 2012. Miss Sugar and I had planned to go up to Cheyenne, Wyoming for the Single Action Shooting Society (SASS) event known as Hell on Wheels. That adventure was going to be the subject of today’s blog, but it will have to wait until tomorrow because I want to first write about what just happened when we got home. So as we drove up the lane, we noticed a pickup truck with a stock trailer backed up against a gate by the barn. That is not an unusual sight. We have a pickup and we have a stock trailer. The trouble was, this particular pickup was not ours and this particular stock trailer was not ours but the barn and the gate are definitely ours. So the question that Miss Sugar articulated with her Texan candor concerned her suspicion that persons unknown might be up to no good. Rustlers! Rustlers? That’s a hangin offense around these parts. There were two cowboy types in our pen by the barn trying to convince a calf to join his friends in the trailer backed up to the gate. Apparently, this calf was not that close of a friend in that he was very reluctant to join the other calves. You are probably wondering, “Was it your calf being rustled by badmen? Did you shoot them per the Code of the West? Did you use the Colt .45s you have for the SASS competition?” Those are excellent questions, which I will answer for you. 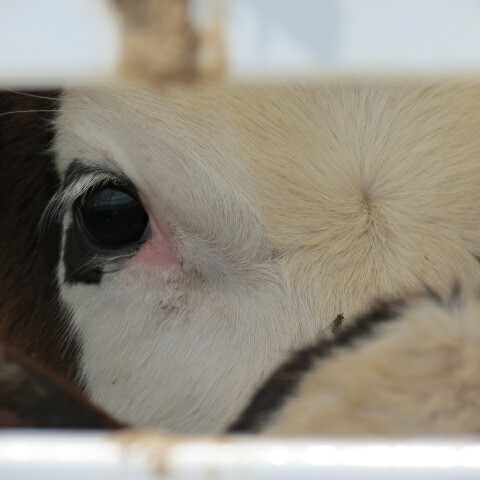 No, it was not our calf, so, no, I thought it would not be proper to shoot them. However, the question remains, why were the cowboys, calf, truck and trailer in our barnyard? So I drove down to ask the cowboys that very question. A young feller came over and introduced himself as Brad Hall. Then Brad offered an explanation. 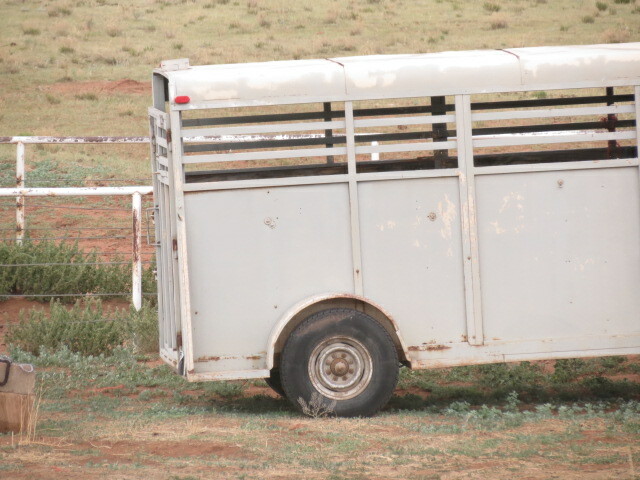 He said that he and this other feller, Ken, were hauling cattle when something happened to a tire on their trailer right in front of our place, which caused them to stop and unload the bunch in our pen. He said that they knocked on our door but no one was home. 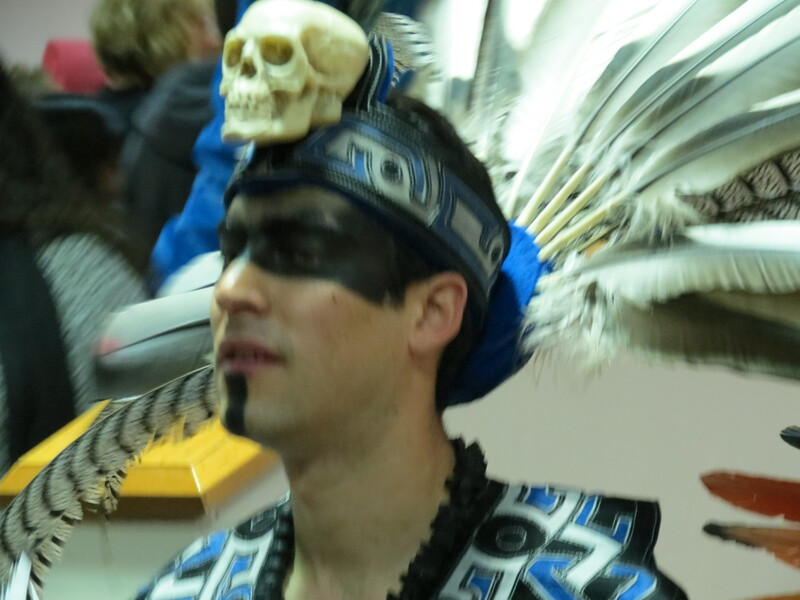 That was because we were up in Cheyenne at Hell on Wheels, which, like I said already, I will write about tomorrow. Miss Sugar said, “Your trailer looks o.k. to me.” Which it did. No, I did not offer Brad the use of one of my .45 sixshooters. Instead, we offered to help him load the calf. I wish I could say our help was valuable. It was not. That dang calf got around Ken (not me) and took off out of the pen into the pasture. 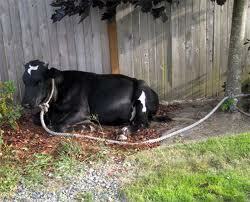 So Brad go out a rope and roped the little calf in our stud pen. Ken helped him hold the calf while Brad tied the calf’s hind legs. Then they dragged him to the trailer and lifted him into it and that was that. They thanked us and left. What a fine young man! I’m glad I didn’t shoot first and ask questions later. Several years ago, a woman in our county fell on hard times. The story I heard is that she used to have a lot of money and spent much of it on horses and dogs. 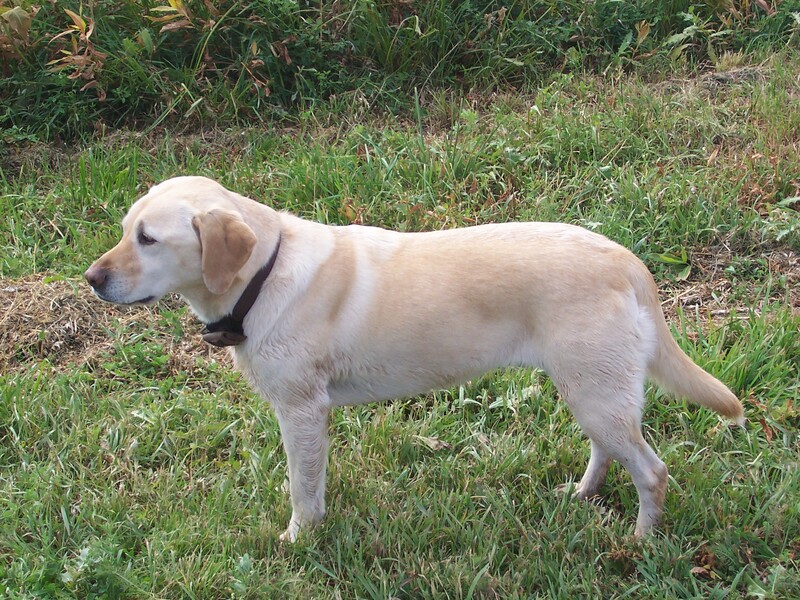 She bred Yellow Labrador Retrievers. As the story goes, she went through a divorce. After the divorce, she continued to pay for the care of her horses and dogs until she ran out of money. After she ran out of money, she was afraid to ask for help because she feared her animals would be taken from her. So she did not ask for help and her animals were taken from her. As I understand it, she was evicted and had nowhere to go with her animals. Someone discovered that she had dozens of dogs in plastic pet crates stacked on top of each other and called the authorities. Her dogs were seized by Animal Control and taken to the Humane Society. The woman was charged with many counts of animal cruelty. She loved her dogs and could not handle the situation emotionally. Before I tell you what happened to her, I will tell you what happened to the dogs. I don’t know about the horses. The story was sad front page news in our newspaper. The Coloradoan reported that over seventy dogs were taken from her. The Humane Society was flooded with calls from people who wanted to adopt the yellow labs. Unfortunately, the majority were euthanized. I heard that if a dog snapped when removed from its crate, it was deemed unsafe for adoption and was put down. I would probably snap if pulled from a crate by strangers. However, I was not there and am not qualified to criticize what the Humane Society did in the situation. The result was that there were some puppies available for adoption, maybe thirty. So many folks wanted to adopt them that there was a waiting list. The Humane Society wisely put on a meeting at the fairgrounds for all who wanted one of those dogs. Miss Sugar and I attended. At the meeting, an animal psychologist gave a presentation about how abused dogs behave differently than normal dogs. That winnowed out some of the would-be rescuers. I don’t recall the rest of the process but I can tell you this — Miss Sugar ended up with Sadie. Sadie was the last dog picked. I suppose it was because she was not a little puppy. She was about five months old. Her front legs looked disproportionately short and were bowed.Presumably, she had been in that little crate ever since being weaned. I doubt she got proper exercise. The report we saw said she was covered with feces. She was not on the top tier of crates apparently. Her disposition saved her. She did not react viciously when pulled from the crate. The folks at the Humane Society called her Cuddlebug. When Miss Sugar came to see about getting her, the deformed young dog who had been passed over by others, they hit it off right away. The Humane Society worker commented, “It’s a match.” So that is how Cuddlebug, who we re-named Sadie, came into our lives. Our veterinarian told us that the woman who fell apart used to be a reputable breeder. She told us that Sadie was well bred, except for her stumpy legs of course. I said above that I would tell you what happened to the woman charged with animal cruelty. Before the case was resolved, she robbed a bank and fled. She was chased by officers of the law until she came to a place in the country where she was surrounded. She got out of her car brandishing a gun. The officers told her to put down the gun. She did not. She was shot dead. It turned out that her gun was a toy pistol. It is called “suicide by cop.” She intended that outcome and provoked it. How very sad. My heart goes out to her. Out of this sadness came joy for us. Well, mostly joy. We love Sadie despite her destructive nature. When left in the car she chewed the leather gear shifter and ate our radar detector. She seemed to lack any spatial awareness. For example, she does not get out of the way of moving vehicles. On our own lane, we have to be careful not to run her over because she fails to perceive the danger. She sometimes runs around in circles for no apparent reason. She is basically a nut. Max has been very kind to her. He tolerates his crazy little sister. He lets her eat his food as she tries to control both bowls even to this day. I put out three bowls of food. As soon as I put food in the first bowl, Sadie goes to it as Max waits. I put food in the second bowl, which Sadie also wants. I put food in the third bowl, several steps away, and she goes to that as Max eats from the second bowl. Then Sadie goes back and forth between the first and third bowls. Her travel time allows Max to finish the second bowl before Sadie decides to check it out too. I don’t blame her for being greedy. She was deprived in her past life. But I’m proud of Max for being so tolerant. In Water Dogs, I wrote about how Sadie manipulates Max with regard to fetching things from the water. Now she is eight years old. People often ask how old our puppy is. She is small for a lab and compared to Max does look like a puppy. She still acts like one too. Sadie is a nutcase, but a lovable one. She is also a grateful creature. She has warned us about the presence of snakes. She got between Miss Sugar and a charging cow. She is a hero. Our lives are better because of Sadie. With the exception of that sissy kid who played with girls, the first heroes of all male Baby Boomers were Roy Rogers and Davy Crockett. In addition, Superman was a hero of the era. However, I want to make a distinction. Superman was not really super. He was an actor benefiting from special effects. Davy Crockett, King of the Wild Frontier, was also played by an actor, the finest actor of his day, Fess Parker, but Davy was an actual historical figure, unlike Superman, who was based on a comic book character. Roy Rogers was not an actor. Roy Rogers played himself, Roy Rogers, King of the Cowboys. I remember the name of Davy Crockett’s rifle. It was Old Betsy. I do not remember the name of his horse. Everyone, even the sissy kid, knows the name of Roy Rogers’ horse, Trigger. Everyone! Even girls! Girls watched Roy Rogers on TV because of Dale Evans, Roy’s wife. Dale started the feminism movement by retaining her last name even after marriage. Her horse was named Buttermilk. Previously, I misremembered the name and mistakenly called her Buttercup. However, a nice reader pointed out my error in the comment below so I made the correction. Buttermilk was a really fast horse, but Trigger was just a little faster. Each was faster than any other horse. They could always catch up to the horses of the bad guys. Trigger was cooler than Buttermilk in another way. Trigger could do tricks. He was smarter than the horses of the bad guys and also smarter than Buttermilk. I don’t remember all the tricks that Trigger could do but I do remember that they were amazing. Get a load of this — I have a horse that does amazing tricks. That makes me a lot like my hero, Roy Rogers, both with trick horses. As those of you who have read my previous blogs already know, I am married to Miss Sugar, who is a girl. I don’t mind. Yes, now I play with girls. But so did Roy Rogers. We have lots in common. My trick horse is named Scamp. 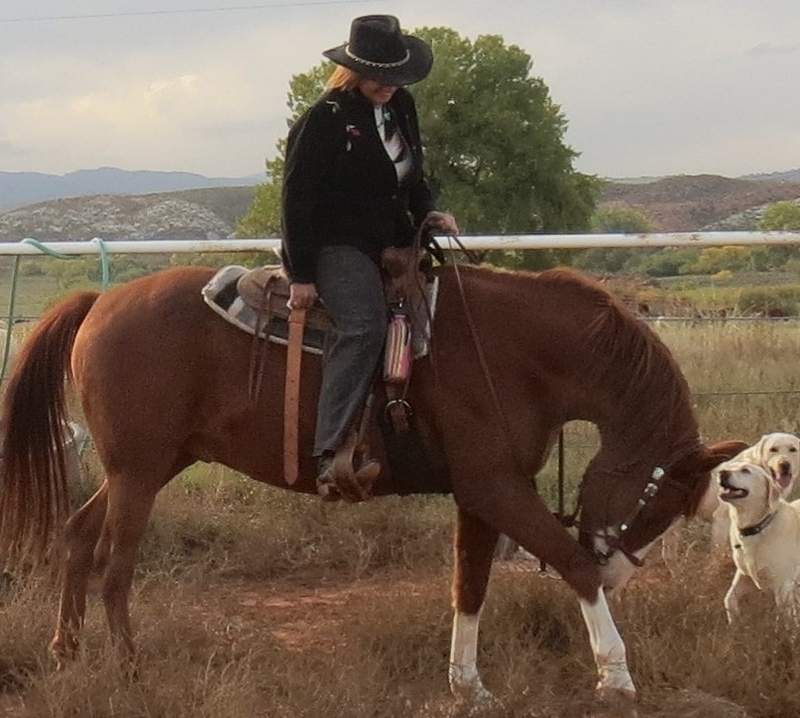 He is generally considered my horse because Miss Sugar wants me to ride him because we are both “big.” However, to be honest, Miss Sugar is the one who taught Scamp his tricks. She is also the one who has him perform them. She is like Dale Evans, only better, because I doubt Dale Evans taught Trigger to do his tricks. Scamp can count, he can answer “yes” and “no,” he can tell a secret, he can smile, he can bow, and he can stand on a platform. How did Miss Sugar know how to teach a horse such tricks? Well, back in Texas an old man in Conroe taught her the tricks to teaching tricks. 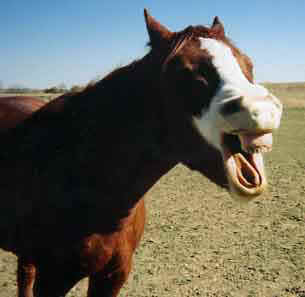 Back then, Miss Sugar had another horse, who was named Apache. Apache lived to be 32 years old. He accompanied Sugar from Texas to Colorado. Apache deserves his own blog by Miss Sugar. Scamp has always been a Colorado resident. He never met Apache and he never met Trigger. 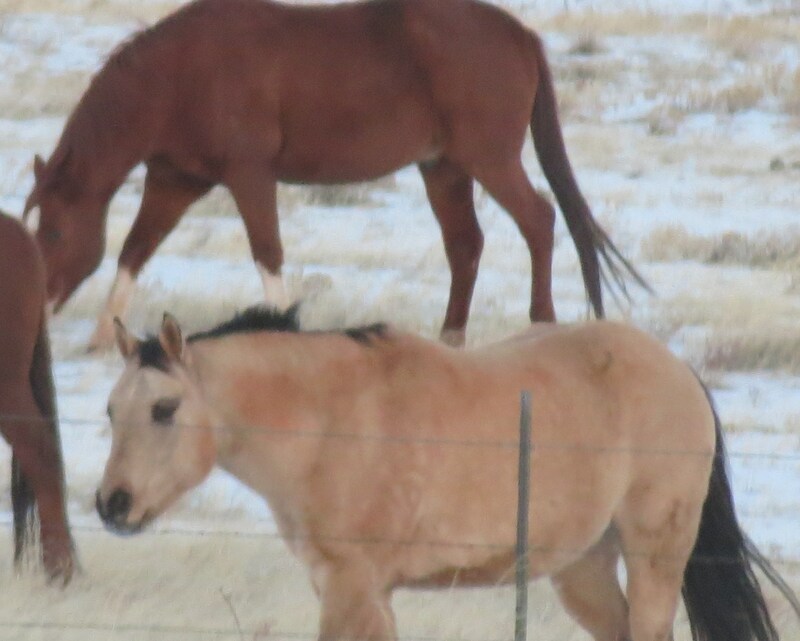 They could have had some fun together, all being wonder horses. Me and Roy Rogers could have had some fun together too, both being cowboys with trick horses. I have been watching the Olympic Trials for swimming held in Omaha, Nebraska. All the swimmers are top-notch to get there. Still, everyone can’t win. Even the great Michael Phelps does not always win. Whoever qualifies for the Olympic team is only fractions of seconds faster than those who do not. The top two in each event qualify. The third place swimmers are always very close. I’m especially pleased that Coloradan Missy Franklin has made the team. She is only 17. 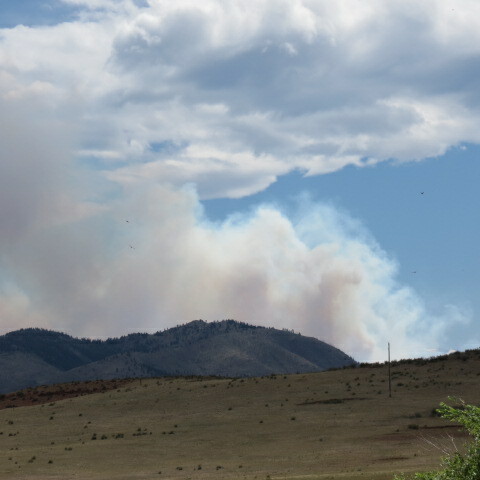 As this is going on in Omaha, fires in Colorado continue to rage. As some people are being allowed back into their homes, others are being required to evacuate. As some learn their homes are destroyed, others get good news their homes were spared. The achievements of the athletes are the result of talent and dedication. The races are fair. Still, there are factors out of anyone’s control. They don’t all have the same genes. They don’t all have the same coaches. Some might be fighting health problems. The victims of the fire had no control over weather. Those losing their homes should not be blamed for choosing to live in a certain location. No one could predict the fire nor its path. 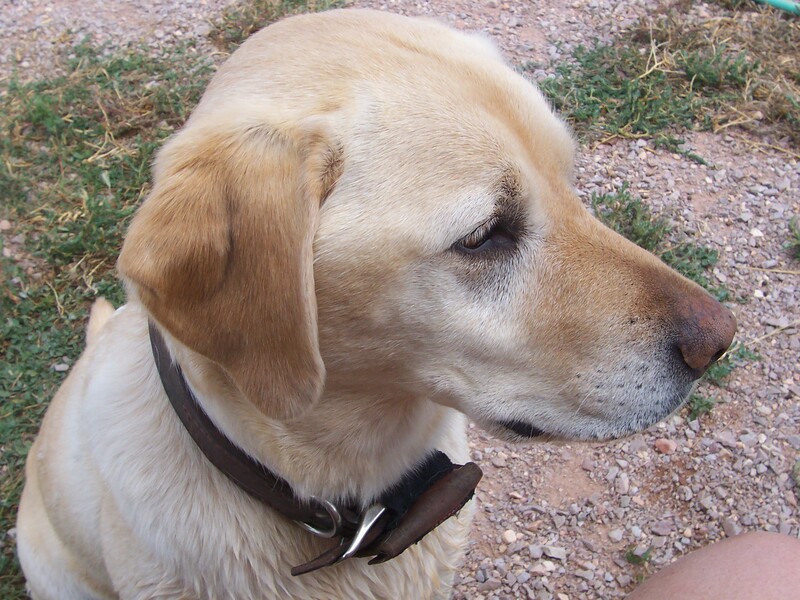 Max, about whom you read in Deadly Dangers at Cross Creek Ranch, is a Yellow Labrador Retriever. He has been an enthusiastic swimmer his entire life … until we enrolled him in a class. 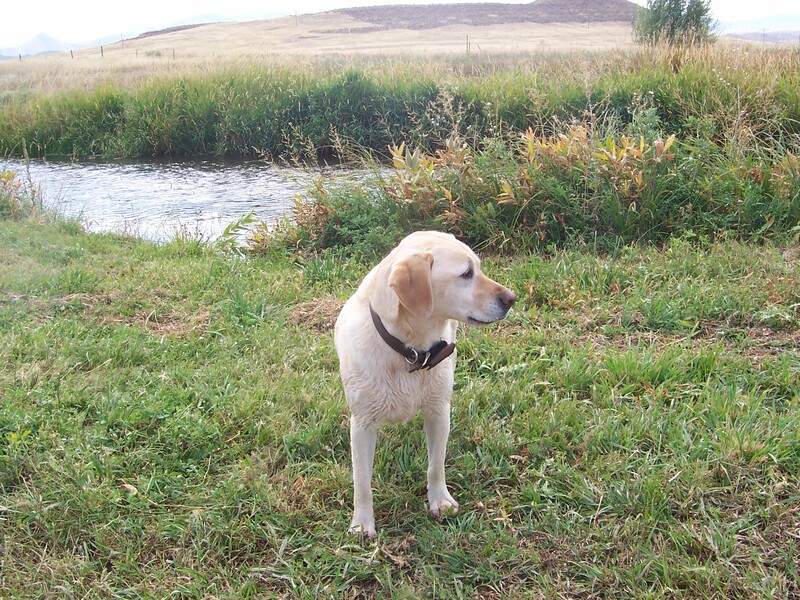 Max enters fast flowing rivers without hesitation, especially to fetch a ball or stick. But when asked to jump into a pool to fetch a toy, well, that’s where he draws the line. Advanced Animal Care in Fort Collins has the nicest doggy daycare that I have ever seen. Miss Sugar discovered their new building and brought home a brochure with photos of the aquatic venue. Owners can enroll their dogs in classes after first passing an orientation. So we signed up both of our dogs. 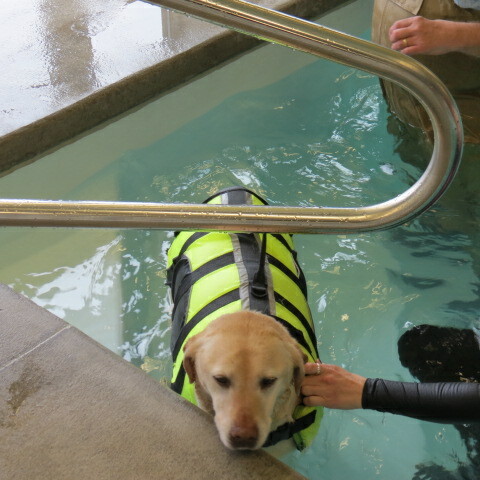 Sadie is also a Yellow Lab; however, she has not shown a natural affinity for the sport of swimming. Rather, one of her tricks is to let Max jump into the water, get the stick, and swim back to shore, where Sadie awaits to take the stick and claim credit for retrieving it, all without getting wet. 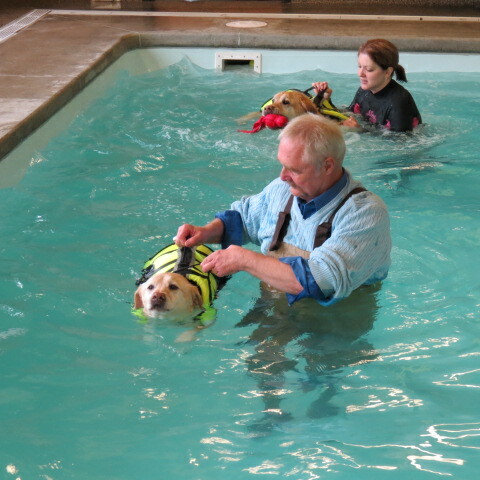 The swimming instructor at the Advanced Animal Care pool requires the dogs to wear life jackets. I informed her that for Max it would not be necessary. She insisted. So I put the life jacket on Max. 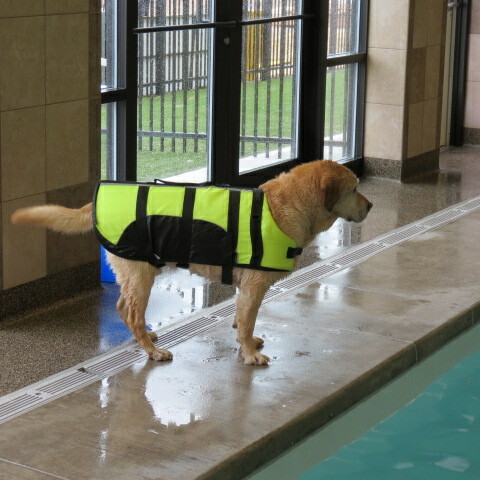 I put one on Sadie as well, of course, because she can’t swim. I had to get into the pool too. The instructor had hip waders for me to wear. I got in. To show off, I threw a toy and commanded Max to fetch. He didn’t. That was a surprise because Max always fetches. He fetches even without a command. He fetches as a creature with an obsessive-compulsive disorder. So Miss Goody Goody Sadie jumps in. Max never did. The life jackets have handles on the back of the dog so they can be held up if they panic. Sadie used her front legs but not her back legs. I had fun playing with her. We forced Max into the pool. He swam to the steps and got out on his own. I shouldn’t have bragged about him. If you are a true American or perhaps an unAmerican who is familiar with the American culture, you are a fan of the TV show, Dallas, which was popular from 1978-92, and you are also aware that the show has returned with many of the same actors, including aged J.R. Ewing, Sue Ellen Ewing, and Bobby Ewing. Lucy Ewing, who was 19, playing a high school girl at the beginning of the series, is now 53. And looks it. You are probably asking, “Are they bringing back that gorgeous young actress who appeared in 18 episodes in the early 1980s, the one who was eating in the restaurant as Bobby was at the next table with his girlfriend, who was also sometimes Sue Ellen’s maid or walking in front of the Ewing Building on the sidewalk?” I happen to know who you mean. Above is a photo submitted by her modeling agent to get Miss Sugar the job as an extra. If you don’t believe me, I can provide an old pay stub. Also, I refer you to an earlier blog, My Station in Life, in which I mention Miss Sugar’s modeling career after winning the swimsuit portion of the Miss Texas contest and being a finalist therein. When Miss Sugar was on the set of Dallas, she and all others involved with the show who had a peek at the filming of the Who Shot J.R.? episode were required to sign a secrecy agreement, vowing to not reveal the answer to that question until the episode revealing the answer was broadcast. Miss Sugar kept the secret. One of my cousins, aware of Miss Sugar’s past as an extra in Dallas, wrote us yesterday and asked whether she had been contacted to be in the revived show. The answer is “no,” as incredible as that seems to all genuine fans of Dallas. I will explain my theory about why Miss Sugar has not been invited back. My theory is that Lucy will not allow Miss Sugar to be on the show because Miss Sugar is waaaaay better looking than Lucy. Frankly, I support Lucy on this. I don’t want Miss Sugar to go back on the set because I would miss her too much. So, please, write to the producers and urge them to continue to not contact Miss Sugar about returning to the Dallas TV show. Let’s keep our beauty queens in Colorado! 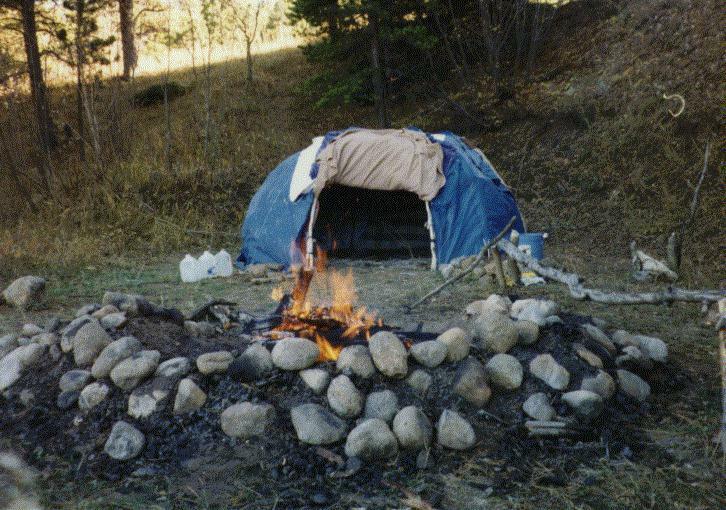 My friend Rodney, who claims to be part Injun, knows how to build a sweat lodge. 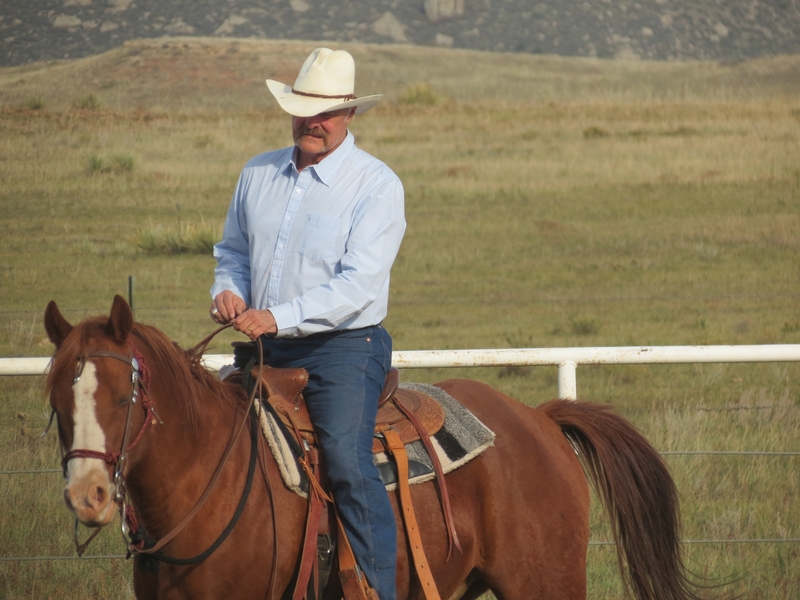 This particular blog is mainly about sweat lodges, but first I want to tell you that Rodney, who wears cowboy attire whenever I see him, also dressed like an Indian as a movie extra when they filmed the TV mini-series, Centennial, out here on Roberts Ranch. It was a good choice to film it here because, as those of you who watched the movie or read Michener’s book, on which it was based, know, Michener wrote about this very area of Northern Colorado. Despite Rodney’s identity crisis concerning whether he is a Cowboy or Indian, I like him anyways. He also knows how to build teepees and make leather stuff, like knife sheaths, but, like I already said, this is about sweat lodges. Miss Sugar, my trophy wife from Texas, wanted a sauna here at Cross Creek Ranch. As you know if you have read my blogs about all the stuff I done for her, like killin’ snakes and, especially, the post called My Station in Life, I try to let her know that I’m crazy about her. I married above my station in life, which is naturally humbling, so if Sugar has a hankering for somethin’ it tickles me plumb to death to get it for her. So I got her a sweat lodge. I should have just asked Rodney to build one, but instead I got a store-bought one, made in Finland, although I would have preferred a Swedish model. Which got me to thinking. At the same time as my Viking ancestors invented saunas, Indians in North America were doing about the same thing, independently. Apparently, for centuries, people in different parts of the world have been doing similar things in order to sweat. There are probably similar things in Asia and Africa, but I ain’t done the research. I’m just saying it dawned on me that Rodney and I have in common Indian sweat lodges and Viking saunas. Plus, we both turned into cowboys. I love the many sunny days in Colorado with cobalt blue skies. 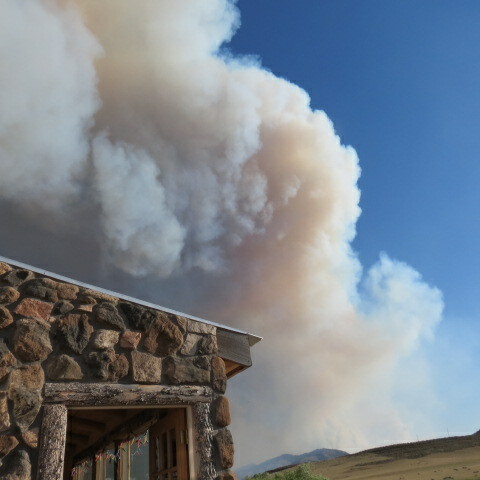 Since the High Park Fire started a couple weeks ago, we have had hot windy weather with smoke-filled skies. All the photos on this page were taken Friday evening, June 22nd, by Miss Sugar, from our deck. 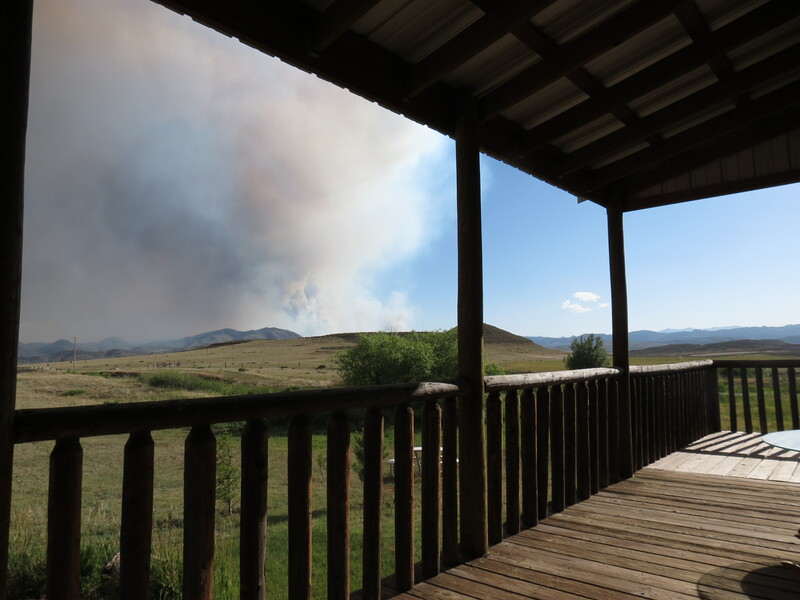 The fire has been raging since June 8th. Now it has covered over 68,000 acres and destroyed 191 houses. Even the Rist Canyon Fire Station burnt down as the volunteer firefighters were helping others. Five of them also lost their homes. Miss Sugar has organized a silent art auction fundraiser for the Rist Canyon Volunteer Fire Department. Many people in the community have pitched in to help the persons who have had to evacuate, as well as their pets and livestock. The Humane Society is beyond capacity so other facilities have taken the overflow, including our own veterinarian. Many people outside of our community are providing generous assistance, including Red Cross and firefighters from other states. Again I refer to the song, “Scare Easy,” paraphrasing: We don’t scare easy. Don’t fall apart when we’re under the gun. You can break our hearts and we ain’t gonna run. We don’t scare easy for no one. Above is pictured the rare double-headed antelope photographed by Miss Sugar. The past two posts I have written about buffaloes and where they used to roam. Now we’re going to continue with the Home on the Range theme. Miss Sugar and I live where the deer and the antelope play. I am not sure what the songwriter meant, but in my experience the deer and antelope do not play together, but they do kinda play.within their respective species. While on the subject of species, I have been told that what the songwriter labeled as antelopes are technically pronghorns. Miss Sugar has studied up on all this and corrects me when I say antelope instead of pronghorn. I might have this wrong, but I think she said pronghorns are the fastest land animals in North America. Actual antelopes live in Africa or someplace outside of the Greater Livermore Metropolitan Area. 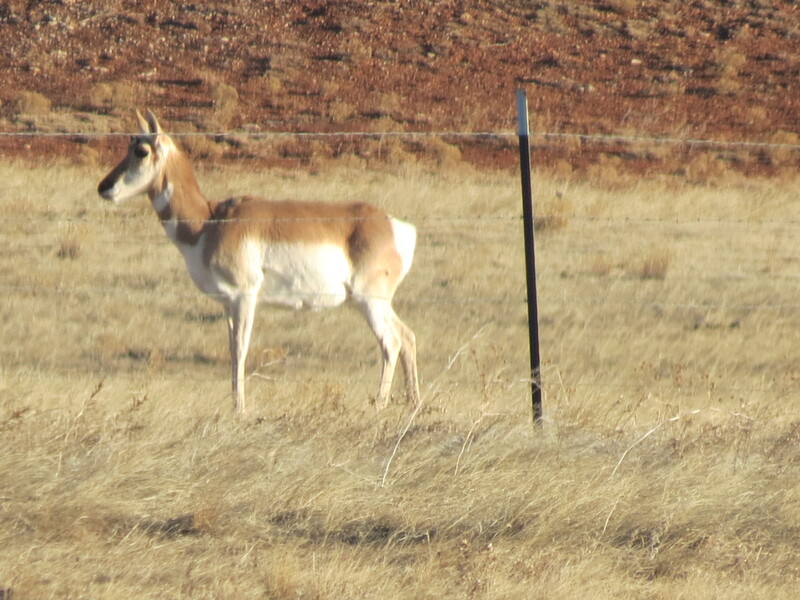 We see antelopes, I mean pronghorns, pretty much daily. They have a territory within which they migrate around. Our dogs like to alert us to the approach of pronghorns. Miss Sugar has taken lots of photos of them, but she must do that when the dogs have not noticed the presence of these shy creatures. The deer are less predictable in their appearances. They stay in the trees more, it seems like, but sometimes they show up in the big hay meadow below our house. We have also seen elk there but this post is not about elk or moose neither because they are not mentioned in the song. Ask me sometime to tell y’all about our moose sighting and about the elk rack on our wall. I use antlers in all of my decorating — my what a guy. Back to pronghorns playing, we have a horse that might be the fastest land animal in North America. 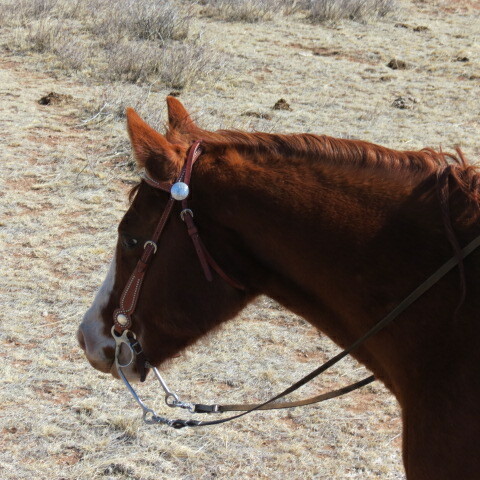 I got Old Woody as a yearling with the idea that he’d make a good stud. We abandoned that idea when we started riding him as a two-year old. He makes a nice gelding. As a stallion, he had trouble keeping his mind off the girls, so the vet performed what some call brain surgery in order to get his mind right. One day Miss Sugar told me to look out the window. Which I did. What to our wondering eyes did we see but Woody sneaking up on some pronghorns. The other horses did not seem to care whether pronghorns trespass in their personal pasture, but Woody decided to do something about it. What he done required some critical thinking and problem solving, as well as athletic ability. The pronghorned creatures were on a plateau grazing when Woody noticed them and Miss Sugar noticed him noticing them. As the scene unfolded, Woody went out an open gate to get from the barn area out to the pasture. He snuck up around the plateau without the prongs noticing. Then he popped up on the top where they were, which startled them, so they took off. As I hinted at above, pronghorns are pretty darn fast. Well, so is Woody. He hooked on to the herd and ran wherever they ran. They sorta curve around as they run, like a wave. The bunch don’t go in a straight line. Woody kept up like he was part of the group until the pronghorns reached a barb wire fence. Some folks might expect such graceful creatures to jump the fence. However, when I’m watching, they usually go under. 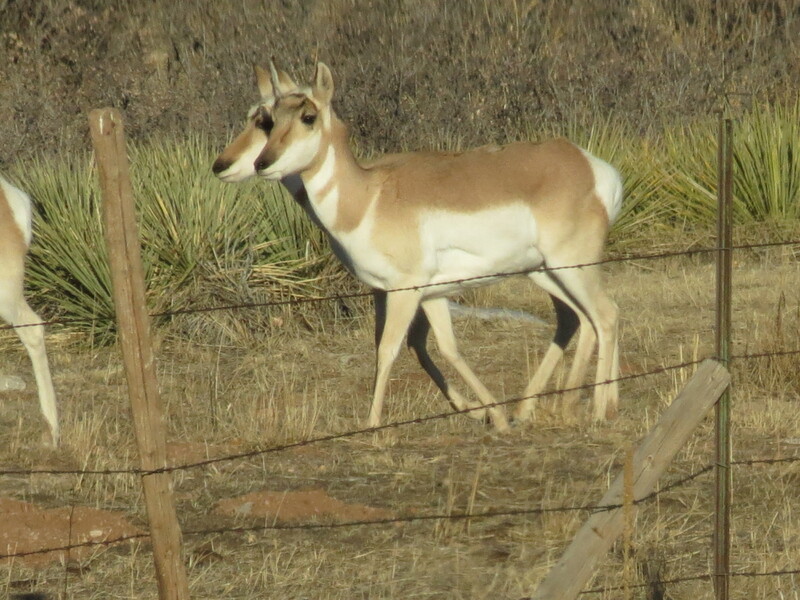 There are places along our fences where you can see little paths where pronghorns duck through. Woody lacks that ability but at least he is smart enough to know it so he stopped at the fence. Then he trotted back to the other horses, kinda lookin proud. For those of you who did not read my blog yesterday, Bison Bob, please do so as a prerequisite for reading this. I’d hate to have anyone fall behind the rest of the class. First, the well-known song, Home, Home on the Range, includes the phrase “where the buffalo roam.” I need some help here. Is the plural of buffalo buffaloes? Or is it plain old buffalo? Maybe we should use bison because I believe the answer to that is bison, not bisons. Nevertheless, since whoever, I mean whomever wrote the song said “where the buffalo roam” in the plural sense, I should shut up, as was frequently suggested to me by my sixth grade teacher, Mrs. Platz, who assigned me a special desk in the hall. (I like to think that I was allowed the privilege of leaving the classroom to sit in my special desk in the hall so the other children would not bother me as I diligently prepared my schoolwork.) It was Mrs. Platz who pointed out to me with exquisite sensitivity that I don’t know much about proper grammar or many other things. So I’m probably wrong about saying buffaloes, but I don’t plan to change. It was Mrs. Platz who picked my career for me. I felt compelled to stick up for the downtrodden. When she was picking on one of my classmates, which was often, I would advocate for the student. For example, if she said, “Gary, didn’t I tell you to stay in your seat?” I might chime in, “Mrs. Platz, you didn’t say we couldn’t sharpen our pencils and Gary here was fixin to sharpen his so he could do his work better and you could read it more easily.” Then she would say, “Look you little smart aleck, go out in the hall to your desk and stay out of this classroom.” In that way, Gary was off the hook and grateful to me. So when it came time to elect president of the class, yours truly was picked for the job by those indebted to me for protecting them from old Fat Platz. Well, like I said, Mrs. P picked my career. Actually, she just predicted it. I went to her retirement reception at Minne Lusa Elementary School and she politely feigned interest in what I was doing at that point. I told her that I was in law school. She was not surprised. “I figgered you for a lawyer,” she said. She said it in a way that I didn’t feel proud. It was an accusation. Still, she seemed real sincere. She said she knew that would happen and she was right. So let’s get back to buffalo(es). Where my trophy wife, Miss Sugar, and I live, the pasture is full of Buffalo Grass. I believe it has been there since God put it there. We don’t have buffalo(es), but other livestock eats it too. However, this is an area where buffalo(es) used to roam and Indians, now known as Native Americans, used to hunt them. There are teepee rings about two miles from our place because, back in them days, Indians set up their summer encampment right in our neighborhood. The teepee rings are rocks arranged in a circle to hold down the bottom edges of the teepees. Some folks spell it tipi, but I doubt them buffalo hunting Indians spelled it at all. There are other signs left from those encampments. There are old fire pits ringed with rocks. Fortunately, here in the Rocky Mountains there are plenty of rocks readily available for such purposes. Back to buffalo(es), I can tell you another interesting historical fact about them. There is a “buffalo jump” on the Roberts Ranch. The buffalo jump is a cliff over which the Indians stampeded a herd. Don’t tell PETA or the Humane Society, but the buffalo(es) were killed in that manner. There are old bones at the bottom of the cliff. Mr. Roberts gives a good tour for the school kids at Livermore Elementary School. The buffalo do not roam freely anymore, but at Park Creek Ranch, they have those heifers fenced in. I like looking at them. Still, I hesitate to herd them and I sure would not want to run them off a cliff.